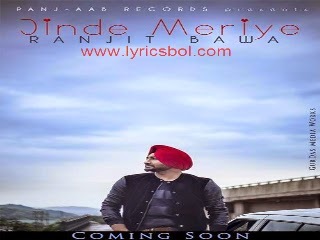 Jinde Meriye is new punjabi song by Ranjit Bawa. The song music composed by Musical Docterz. Full song released now check out lyrics below. Haye jehde saanu vekh sarhde..
Te main ohdi heer ban gayi..